- encourages preservation of skin tissue structure. 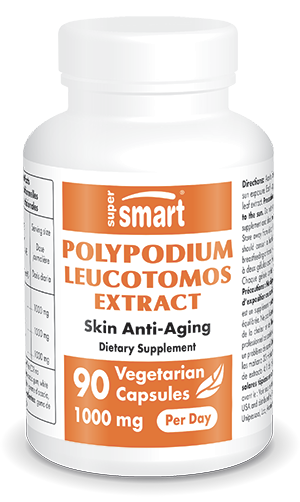 Each vegetarian capsule contains 500 mg of Polypodium leucotomos 4:1 leef extract. Take one to two capsules a day in the morning, 30 minutes before exposure to the sun, or as recommended by your therapist. You should still use topical sun products when exposed to the sun.